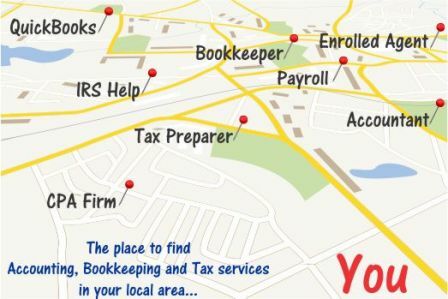 Don’t hire a bookkeeper or accountant solely on their hourly rate | Accounting Questions, Tax Tips, Personal Finance Topics and More! Hiring a bookkeeper or accountant solely on their hourly rate can result in an experience similar to buying cheap shoes: Bad fit, wear out easily, funky style. John Turcott offers advice on how to choose a bookkeeper or accountant and what questions to ask. John: I sometimes speak to potential clients looking to hire at very low rates. As a seasoned accountant, I can advise with certainty, that an inexperienced accountant or bookkeeper may charge less but can steer you wrong from the onset of an appointment. Chart of accounts must be set up properly thus some knowledge of the business is needed. Banking needs to be automated for efficiency. Have they done this before? Background checks should be done on the prospective accountant. Many times a software decision is needed, does the accountant have experience in this area? The best hiring decision whether a full-time or part-time role is to hire someone independent of your business. Outside professionals can bring varied and current experiences from their other client base that can be a benefit to you. In addition, your business will be saving the compensation, benefits, payroll taxes, overhead, and more that you would be paying to a full-time employee. These are all costs to consider in the overall price of hiring and outsourcing your bookkeeping or accounting. I have always said that “a good accountant shouldn’t cost you anything“. Forecasting your business is crucial to future success. It is important to have timely financial statements, but even more important to know where you are headed based on the most recent trends. An independent and experienced accountant may charge more but will also likely bring more value to your business. When you are hiring your next accountant remember, price doesn’t always equal value and paying more at the outset can save you many times that amount in the long run. Contributed by John Turcott – Over 25 years as a CFO and Controller for both private and public companies. Most of my QuickBooks consulting work involves fixing bookkeeping messes. Once I fix messes, I maintain my clients’ books. Most of the messes are created by either the owner or by some employee or lowly paid inexperienced person. I raised my rates 4 times in the last 6 years. In the beginning, I had clients complain about my rate. After I raised my rate, not only did I keep most of my clients, but I picked up more who had no problem with my higher rate. They expected an experienced QuickBooks professional to have a higher rate. Having a certification doesn’t always mean a person is qualified to fix your books. Intuit has a certification for QuickBooks professionals. From what I’ve read, it involved paying for a 16 hour course and passing an exam. The “certified” professional can then sell Intuit products, set up the books and do a little training. Most don’t know enough to be able to fix bookkeeping messes. I used to go on the QuickBooks Community Group forums (not to be mistaken for a similarly named discussion group on LinkedIn)and answer questions that accountants and “certified” QBs professionals had.